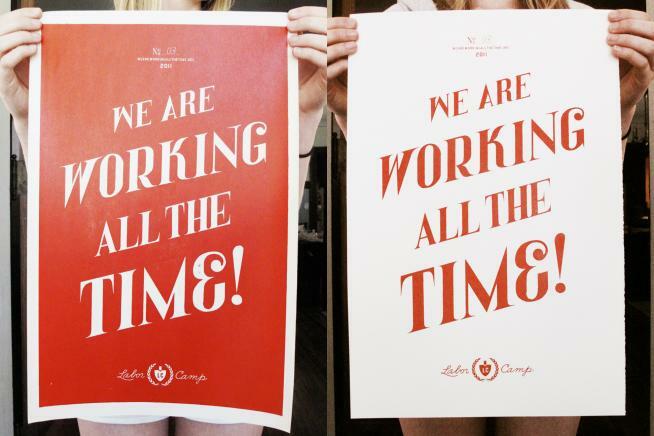 "We Are Working All The Time!" screen printed posters, by Piotr Szyhalski. This project is developed with funds from The Minnesota State Arts Board.